OMG, this 10 million British pounds is more than enough for me to start my Real Estate Investment dream. God of mercy, have mercy on me. God please bless my hustle. 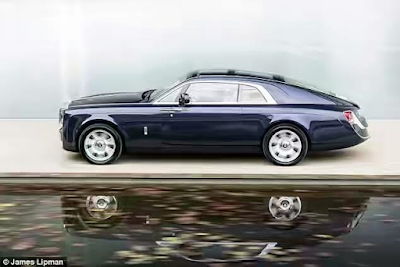 British luxury car maker, Rolls Royce has crafted the most expensive new car eve, the £10 million two-seater, Rolls Royce Swept-tail. It takes its name from the ‘swept-tail’ design of Rolls-Royces of the 1920s-30s and is built to mirror the elegant lines of a racing yacht. 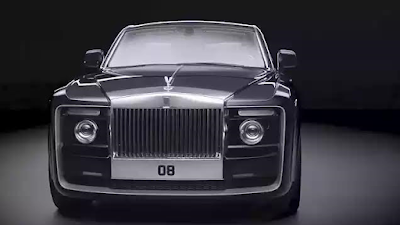 The outrageously expensive vehicle is the brainchild of an unnamed super wealthy customer who approached the brand with his vision of building a unique one off car. 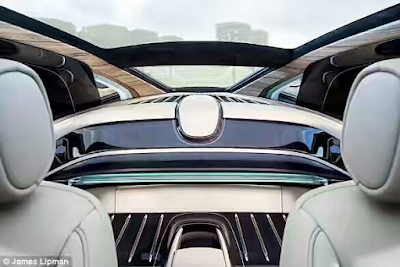 It comes with a host of luxuries including some of the best polished wood, high end leather, a powerful 6.75-litre V12 engine and other posh stuff ordinary folks like us can't understand. 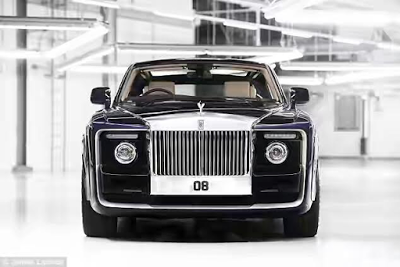 ‘In 2013, Rolls-Royce was approached by one of its most valued customers with a very particular request. 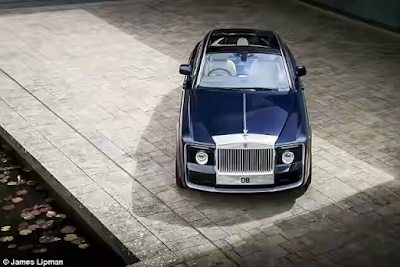 A connoisseur and collector of distinctive, one-off items including super-yachts and private aircraft, this gentleman came to Rolls-Royce to realise his vision of a one-off luxury motor car like no other. ‘He approached the marque with his own idea of a two-seat Rolls-Royce that he wanted to be created in the here and now. That is about 4.95 billion naira on wheels.